One of the first signs of macular degeneration can't even be detected without an eye exam. When eye doctors dilate your eyes and look at the retina there are several things they are looking for. 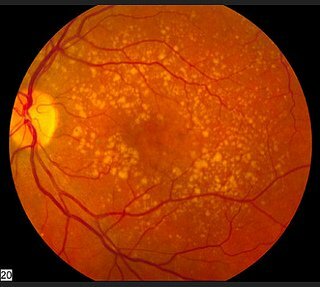 One is to see if there are any fatty, yellowish deposits in the macula called macular drusen. The size and number of drusen are just some of the determining factors as to what those deposits might mean. For some people, macular drusen are a sign of early or intermediate macular degeneration. When general eye doctors detect these drusen, they will often refer their patients to a retina specialist who may run other tests and confirm or make the diagnosis of AMD. Just like any other disease, whether it's diabetes or cancer, early intervention or treatment is key to a better recovery. The trouble with AMD is that while a diagnosis can be made in the earlier stages, no standard treatment is available except for taking eye vitamins and practicing an anti-inflammatory diet. That may be changing thanks to research being done in Australia with some promising results in AMD patients.